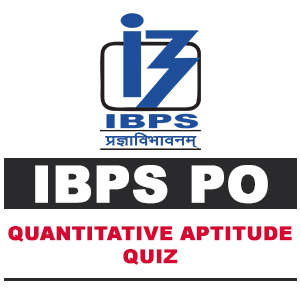 Mahendra Guru October 03, 2018 Important maths questions for PO, Quantitative Aptitude, Quantitative aptitude Questions, Quantitative Aptitude Questions For IBPS PO. Q1. Time taken by A alone to finish a work is 50% more than the time taken by A and B together. B is thrice as efficient as C. If B and C together can complete the work in 22.5 days, then how many days will A alone take to complete the work? A और B के द्वारा एक साथ किसी कार्य को पूरा करने में लिए गए समय से A 50% अधिक समय लेता है। B की कार्य क्षमता C की कार्य क्षमता की तीन गुना है। यदि B और C किसी कार्य को 22.5 दिनों में कर सकते हैं, तो A के द्वारा अकेले इस कार्य को पूरा करने में लगा समय क्या होगा? Q2. A, B and C started a business where their initial capital was in the ratio of 2:3:4. At the end of 6 months, A invested an amount such that his total capital became equal to B's initial capital investment. If the annual profit of B is Rs. 3000 then what is the total profit? A, B और C एक व्यपार प्रारम्भ करते है जहाँ उनके निवेश का अनुपात 2:3:4 है। 6 माह के अंत पर, A अपने निवेश में इतनी धनराशि निवेश करता है की उसका कुल निवेश B के प्रारंभिक निवेश के बराबर हो जाए। यदि B का वार्षिक लाभ 3000 है तो कुल लाभ क्या होगा? Q3. A vessels contains milk and water in the ratio of 7 : 1. 1/10 th mixture is removed and 3 liters of water is added. The final ratio of milk and water is 6 : 1. find the initial quantity of the mixture. Q4. Suman spends 36% of her income on food. Remaining ¼ on brother and 3/8 on sister. Difference of amount given to brother and sister is 1200. What is suman total saving? Q5. A dealer sell two A and B article at 20% and 30% profit . Total profit earned by him is Rs. 140. Cost price of A is Rs. 50 less than cost price if article B. Find the cost price of B.
Q6. Find the approximate value which will come in place of question mark (?) in the following question? निम्न दिए गए प्रश्न में प्रश्नवाचक चिन्ह (?) के स्थान पर आसन्न मान क्या आएगा? 57% of 394 – 2.5% of 996 =? 394 का 57% – 996 का 996 =? Q7. Find the approximate value which will come in place of question mark (?) in the following question? Q8. Find the approximate value which will come in place of question mark (?) in the following question? Q9. Find the approximate value which will come in place of question mark (?) in the following question? Q10. Find the approximate value which will come in place of question mark (?) in the following question?